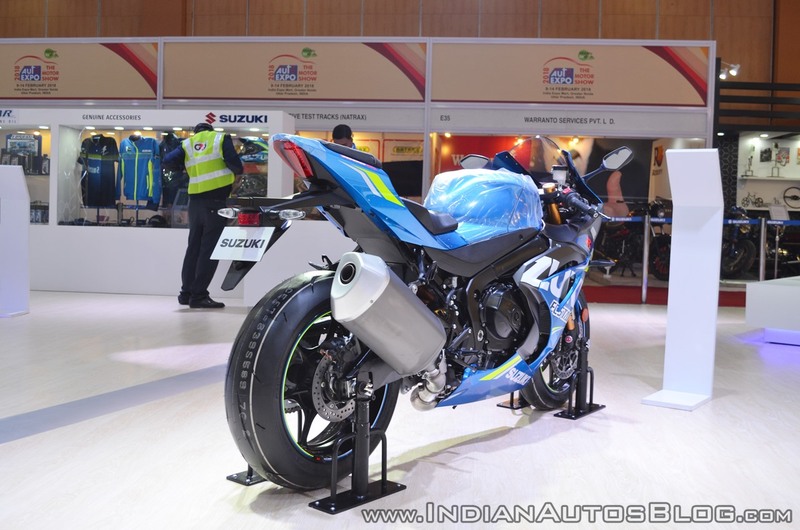 Suzuki Motorcycle India has showcased the 2018 Suzuki GSX-R1000R at this year’s Auto Expo in Greater Noida. Here are the track tamer's live images from the event. The 2018 Suzuki GSX-R1000R comes with a sleeker bodywork for optimum aerodynamics. The twin-spar aluminium frame weighs 10% less; and the aluminium bolt-on sub-frame is 38% lighter than the previous generation model as well. The GSX-R1000R features a bi-directional quick shift system and Launch Control for optimising torque delivery while accelerating hard. Coming to the heart of the matter, the 2018 Suzuki GSX-R1000R employs a 999.8 cc 4-cylinder DOHC engine with liquid cooling and fuel injection. The powerplant makes 202 PS of maximum power at 13,200 rpm and 117.60 Nm of peak torque at 10,800 rpm. The bike also gets a new ride by wire system and reworked slipper clutch assembly. Electronics include new Suzuki Drive Mode Selector with three different mapping and engine power delivery settings. Suzuki’s advanced Motion Track TCS (Traction Control System) allows the rider to select 10 different levels of traction control intervention. Suspension bits on the GSX-R1000R include adjustable Showa Balance Free Front forks; and Showa Balance Free Rear Cushion Lite rear shock absorber. The 320 mm dual front Brembo discs and a single 220 mm Nissin disc get Motion Track Brake system which works with the 6-axis Inertial Measurement Unit. The motorcycle weighs 203 kg wet, with a 16-litre fuel tank. 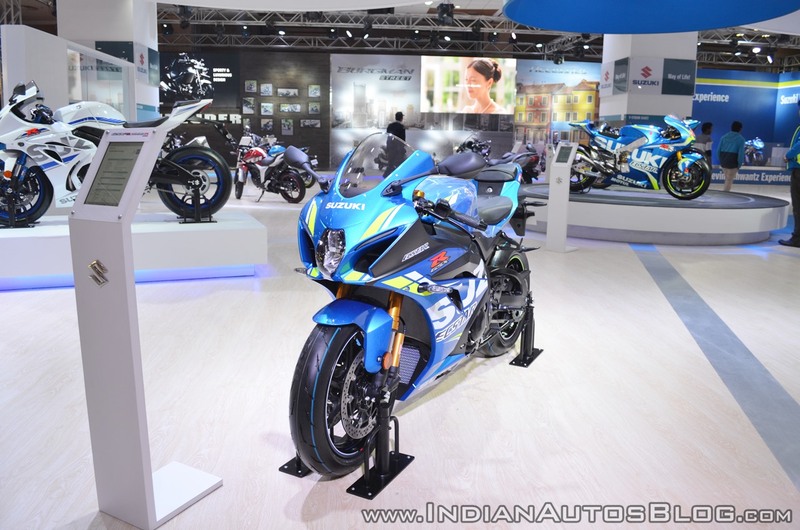 The 2018 Suzuki GSX-R1000R costs INR 22 lakhs, ex-showroom, Delhi. It is INR 3 lakhs more expensive than the standard bike.